Mario’s is a 34-year-old family-owned catering business. The company serves local and foreign motion picture clients with their sensational food selections and top of the line service. Not only does Mario’s prepare delicious foods to fill the plate, guests also talk about their amazing team consisting of joyful, entertaining and accommodating members. The menus they prepare are delectable and filling. After a rough work day or even before filming begins, production staff on set can grab a bite of mouthwatering prawns, fettuccini Alfredo, asparagus, marinated chicken, steak, muffins, sandwiches or turkey. 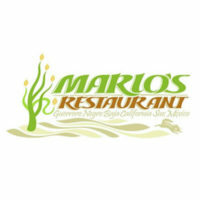 Mario’s strives to be the top choice for catering with their carefully-curated dishes. Their goal is to give clients a one-of-a-kind 5-star meal experience every time. The company is based in Porter Ranch, California (91327) and can be contacted by phone at (877) 627-44-64. Meet some of the great people in the catering industry such as Adam, Rob, Chef E, Raymundo and, of course, the man running everything: Mario. The company also has branches in New Mexico, Illinois and Arizona. The dishes are prepared well and served warm every single time. They can even provide customized meals for every individual’s preference. The set up always looks neat and professional. The team makes it a point to send plenty options so people can pick and choose according to their needs. With a team like Mario’s, there’s no way you can go wrong with placing an order from them. They would assist you during the entire process and make sure you’re getting exactly what you want. You’ll find their menu online, but you can always ask for recommendations from them as well. Their most popular food items are the choiced turkey and marinated chicken dishes. For easy snacks, you can choose from their array of sandwiches and muffins. Mario’s is in operation 24/7. For pick-up orders, they need to be notified three days ahead of the first day of your special event or shoot. For motion picture catering, the same rules apply. Just make sure to indicate the location, duration and the preferred menus. Indicate cultural and dietary preferences, if any. Mario’s also welcomes seasonal ideals from their clients. Therefore, the menus that you see on their website may change depending on the current season. For weddings, birthdays, and on-set needs, always consider getting your catering from Mario’s. They have some of the most affordable packages for small, mid and large groups. They’re also willing to grant special requests. If you want a gluten-free meal for your wedding and your guests, they will create that for you without any trouble. Delivery and pick up are also negotiable. But don’t call at the eleventh hour! If you want great meals, always give them three to five days before to get everything ready for your events. Pricing is pretty comparable to that of other popular catering companies. The incredibly delicious food selections can very well compete with meals of 5-star restaurants.